. : CARLETON UNIVERSITY RAVENS CHAMPIONS :: Ski XCOttawa.ca :: Skiing in Ottawa and Gatineau Park :. 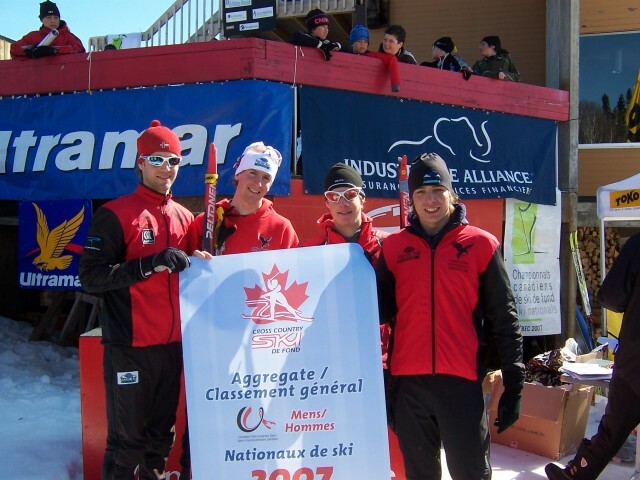 CARLETON UNIVERSITY RAVENS MEN'S NORDIC SKI TEAM CAPTURES 2007 CANADIAN NATIONAL CHAMPIONSHIP. PROGRAM EARNS SECOND TITLE IN FOUR YEARS AND THIRD OVERALL IN TEAM'S HISTORY! Mont Ste Anne, Quebec. 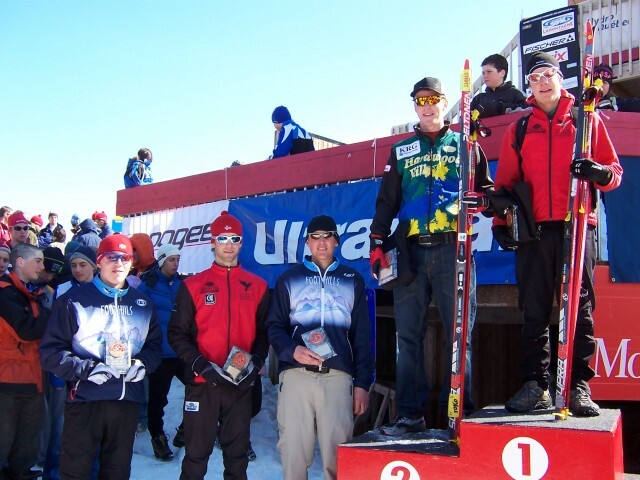 The Carleton University Ravens Men's Nordic Ski Team won the 2007 Canadian College and University National Championship for the second time in four years and third time overall in the program's history. The Ravens Gavin Hamilton, a fourth year Biology major from St. Catharines, Ontario, was named the Canadian National Individual Champion for winning the 10km Free Skate Race and 15km Classic Race at the National Championships. The Canadian Nordic Ski National Championships is run by Cross Country Canada in conjunction with the Canadian Interuniversity Sport(CIS). The sport of Nordic Ski is one of four sports that runs a "National Championship in cooperation with the CIS." The other three sports are Men's and Women's Golf, Curling and Badminton. The Ravens finished first with 1,142 team points to win the National Title by 147 points over their fellow Ontario University Athletics (OUA) rival Lakehead University Thunderwolves, with 995-team points. The Canada West University Athletic Association (CWUAA) University of Calgary Dinos finished with the Bronze Medal, with 821-team points. "Our guys were excellent this week," said Head Coach John Langstone, who was an assistant coach on the previous two Canadian Championship Teams. "They skied their best performances in defeating their arch rivals from Thunder Bay." 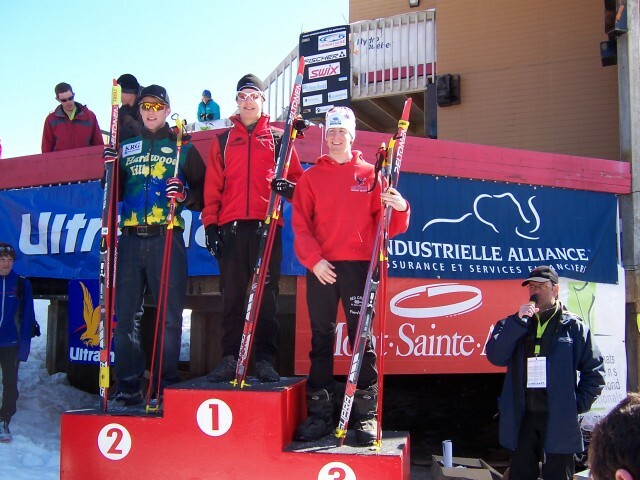 The story of the 2007 Canadian Championships was Gavin Hamilton who started the week off with Gold Medal performances in the 15km Clasic Race with a time of 44:51.0. The Ravens Ed McCarthy finished fourth in the race with a time of 45:58.0 and Chris Mamen, sixth with a time of 46:37.0. In the second race that counted towards the Canadian National Championships, Hamilton won his second Gold Medal in the 10km Free Skate race with a time of 29:04.2. The Ravens McCarthy also finished fourth in the 10km, with a time of 29:56.5 and Mamen, sixth with a time of 30:16.8. "At this point in the week long competition we were so far ahead of our opponents all we had to do is race well and we would clinch the National Title," said Langstone. The Ravens did not rest on their laurels McCarthy and Mamen would go onto win the 2x3 lap, 1.2km Relay Race with a time of 15:19.0 giving the Ravens three Gold Medals in three races! "I was very proud of the guys," said veteran Senior Ed McCarthy. "We not only felt great for ourselves but for Coach Langstone. He and assistants Greg(Marx) And Don (Moxley) work so hard for us to be ready and prepared for every race and I think is great that they are National Champions too!" In the final Canadian National Championship Race, the 1.2km Sprint Mamen finished 10th with a time of 3:11.5 and Hamilton 11th, with a time of 3:13.9. Hamilton and Mamen finished in the Top Six earning 2007 All-Canadian Honours. 2 -Harry Seaton (Waterloo), 1 - Gavin, 3 - Ed. CARLETON UNIVERSITY RAVENS WOMEN'S TEAM EARN CANADIAN NATIONAL BRONZE MEDAL. The Carleton University Ravens Women's Nordic Ski program earned the 2007 National Bronze Medal finishing the week long competetion with 1,044 team points. The Lakehead University Thunderwolves won the Canadian Women's National Championship with 1,103-team points and the Laurentian University Voyageurs earned the National Silver Medal with 1,072-team points, making it a clean sweep for the OUA. The Ravens lone medal at the Canadian National Championships came in the 2x3 relay race of 1.2 km, as Linnea Rudachyk and Alysia Garmulewicz won the Canadian Bronze Medal with a time of 18:08.7. Lakehead would win Gold with a time of 17:05.2 and Laurentian second at 17:07.3. Garmulewicz would finished 8th in the 10km Classic Race with a time of 35:21.8. In the 5km Classic Race she would finish 13th, with a time of 17:12.3 and Rudachyk came in 16th with a time of 18:05.4. "The Women were always close to Top Ten finishes all week and couple that with their Relay Race Bronze gave them enough points to capture the Bronze Medal, " said Langstone. XC Local: Support the Canadian Ski Museum, and the Canadian Ski Hall of Fame Nov. 22nd, 2005. Race Preview: 2015 Tay Valley Loppet is Feb 8th! "Get Powered by Fresh Air"